Add an ash cup and ato your vehicle. The ash cup/coin holder is designed to fit in cup holders and includes a lid to keep ashes or spare change in place. It’s constructed of a durable thermoplastic and removes easily for cleaning. 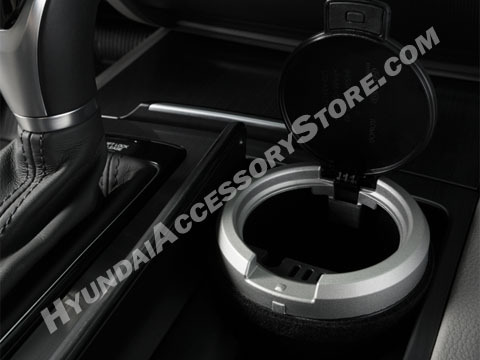 Designed for to match your Hyundai's interior.